Porsche’s 911 can probably lay claim to be one of the most widely written about cars in the world. Sure it helps that it’s been around since the early Jurassic period and that each model has kept the same silhouette since the first model (the 901, of 1963), but you’ve probably read more about Porsche’s rear engine coupe than you care to think about. Porsche tried to kill off the 911 in the late 1970’s with its front-engined GT car, the 928. As a former Porsche mechanic I dread the distinctive whir that the 928’s hateful starter-motor makes when it fires up the water cooled, front mounted V8. To this day, I still have flash-backs to diagnosing electrical problems, or changing the V8’s phenomenally long timing belt. The 928 may be nice to look at but it was pretty average to work on and (especially in automatic form) equally as average to drive. Of course we all know that the 928 never really ‘took off’ and people screamed out for more rear-engined coupes. That was of course until the late 1990’s when the 986 Boxster was released. Designed as a homage to Porsche’s 550 Spyder the Boxster was the actually the third mid-engined road car that Porsche had built (550, 914 then Boxster). This is of-course not including the race car for the road GT1 as it was made from unobtanium and you actually have more chance of seeing a unicorn than a GT1 in the wild. The Boxster made more sense than a 911 with its engine hanging over the back axle as it tread the more common sports car route of having its flat (boxer) six mounted just in-front of the rear axle (a la Ferrari, Lamborghini and Toyota….). 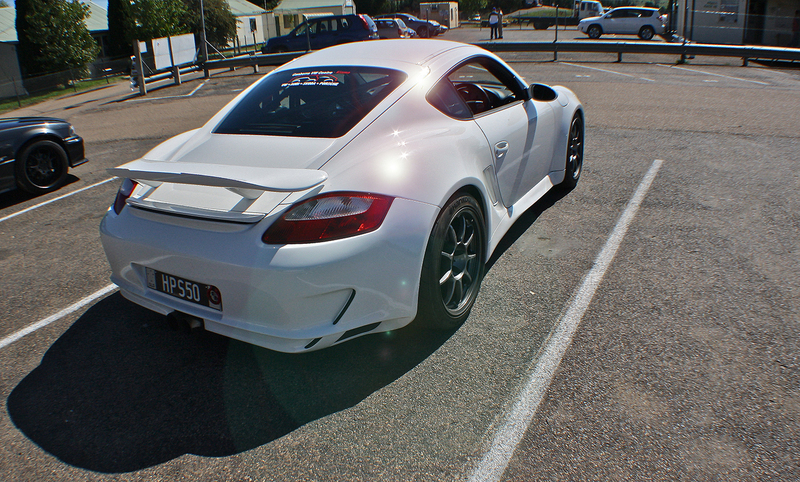 We had to wait almost 10 years for a proper, (semi-affordable) hard topped mid-engine sports car, the Cayman. The Cayman has to be one of my top 10 cars. Its proportions are beautiful (especially in 987 form) and to my eyes it’s far more aesthetically pleasing that the 997 911. The car pictured takes the Cayman that step further however; adding to the mid-engine, rear wheel drive layout two turbo’s, a wide-body kit, a GT3ish roll-cage, R-spec tyres and huge Alcon brakes. The number plate gives a clue to the power that this little Cayman was pushing through its 6-speed manual and something tells me the driving experience would be far ahead of your run-of-the mill 997 911. 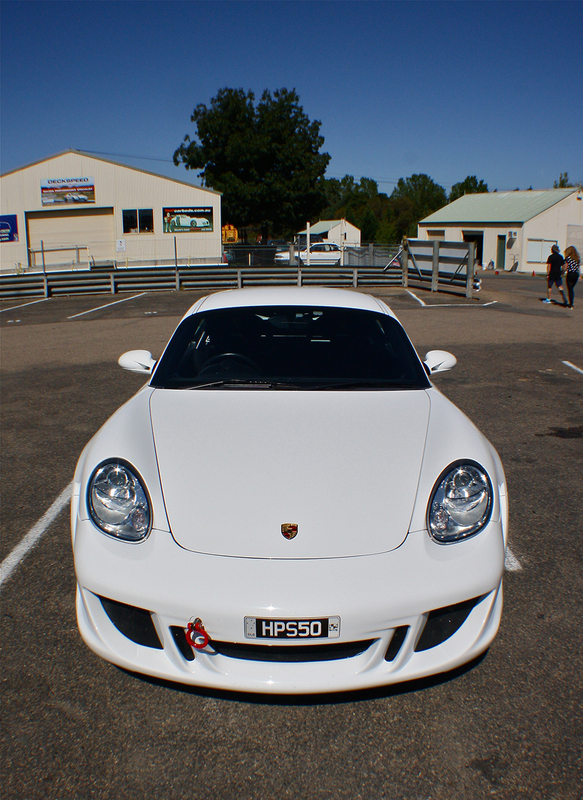 This car was lapping Australia’s Wakefield park racetrack, putting to shame many examples of its bigger brother. So what would you rather; the classic formula of engine out back, or engine in the middle, a couple of turbo’s and whole lot of inimitable charm? I’ll have my Cayman in grey thanks.